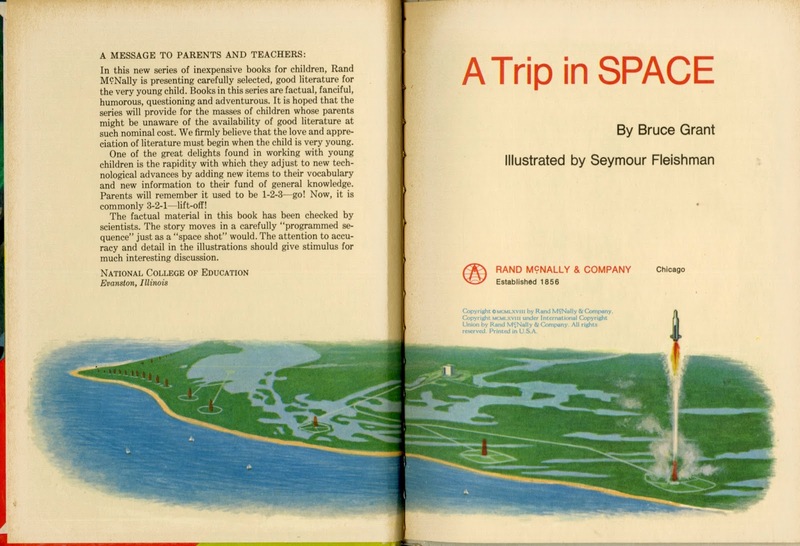 A Trip in Space is the fictional story of astronauts traveling in space. It finishes out my "storybook month" showing how fantasy and reality can get blended in these children's books. 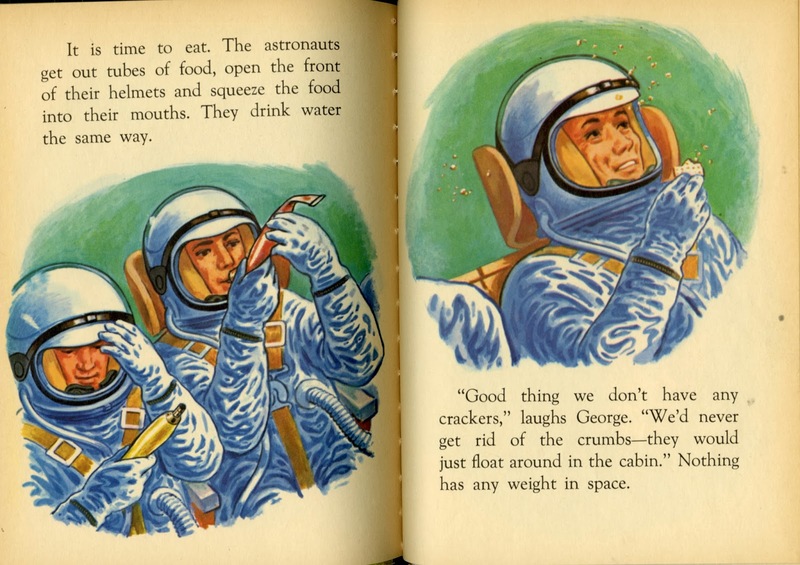 The question I have is if it is about an occupation (like astronaut) and it shows what they do without any special "extra" adventure is it fictional because it is essentially a composite portrait rather than about a specific person? Or is it simply a career book? 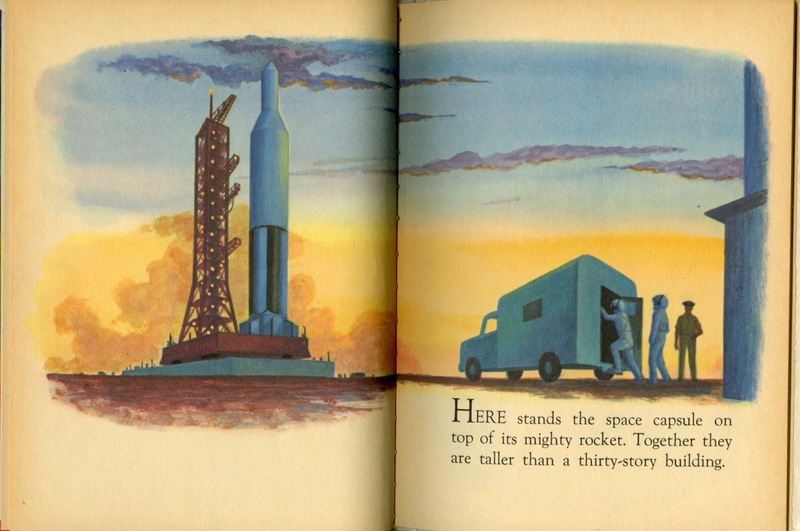 The illustrations in this book are very nice. Grant, Bruce. Illustrated by Fleishman, Seymour. 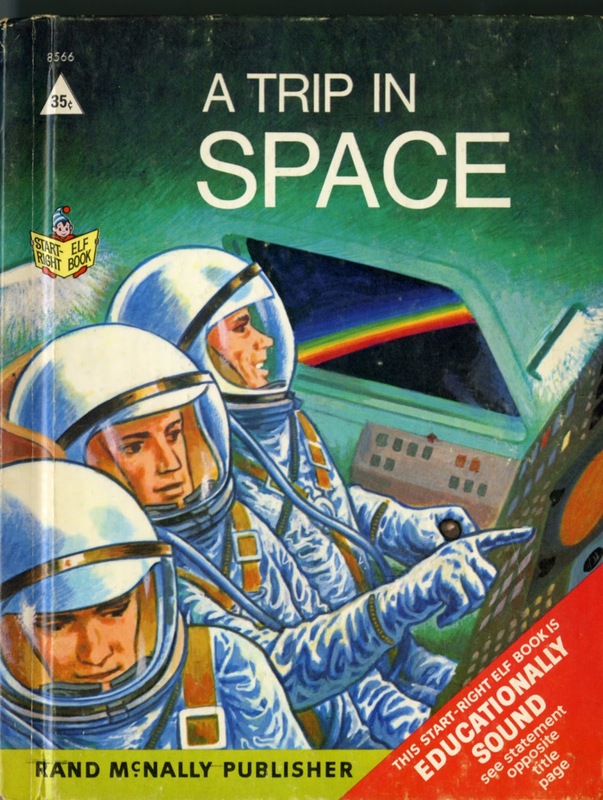 A Trip in Space. Chicago: Rand McNally and Co. (22 p.) 21 cm. Illustrated Boards. 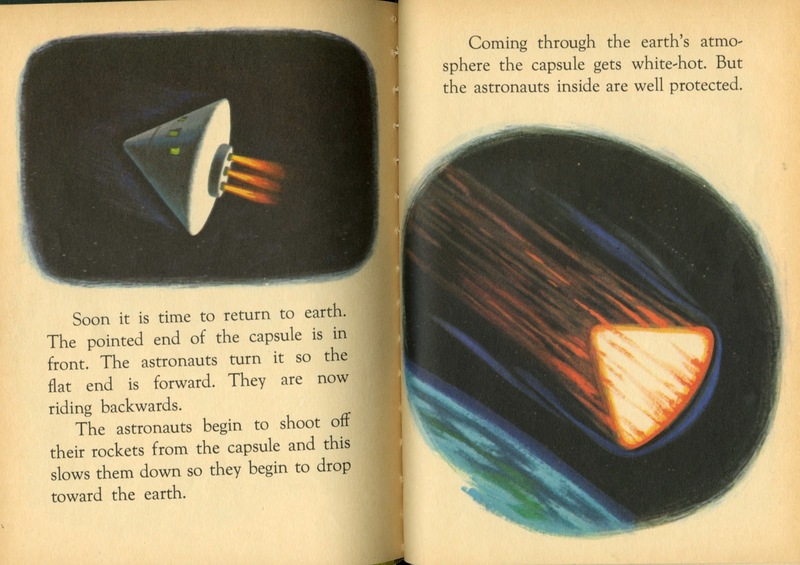 They simplify the astronauts' journey but render the essential facts well. I like very much the aerial view of the swamps of Cape Kennedy as a rocket is launched. A nice way to show the geography of the area. 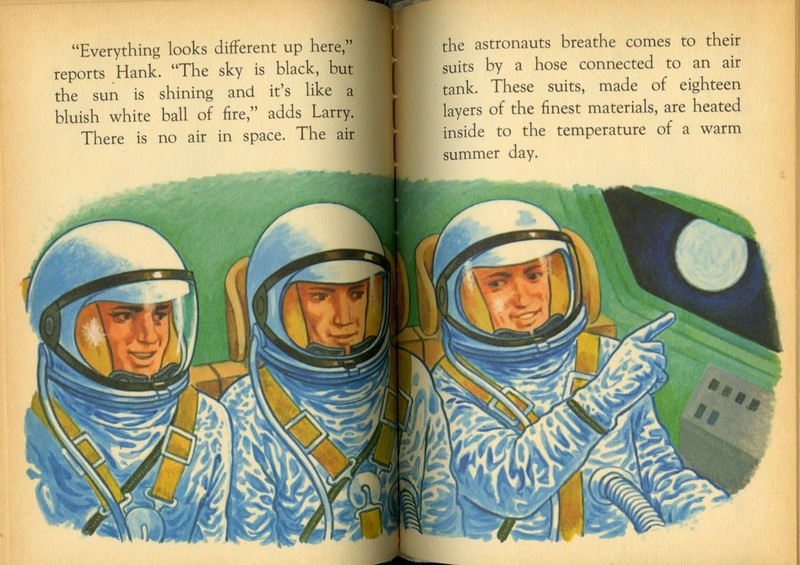 Their vehicle looks like an early Apollo capsule but their suits are more Mercury than Apollo. 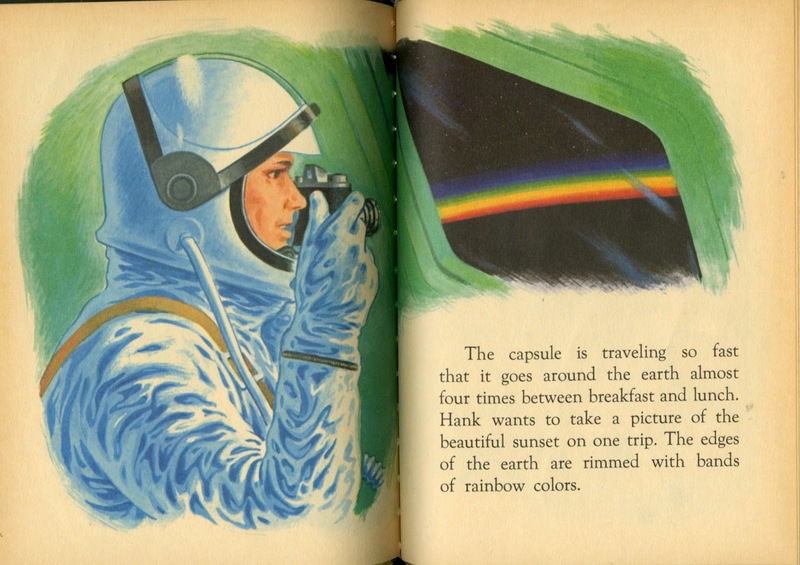 This is my favorite illustration showing the sun's rays refracting into rainbows at the edge of earth's atmosphere. 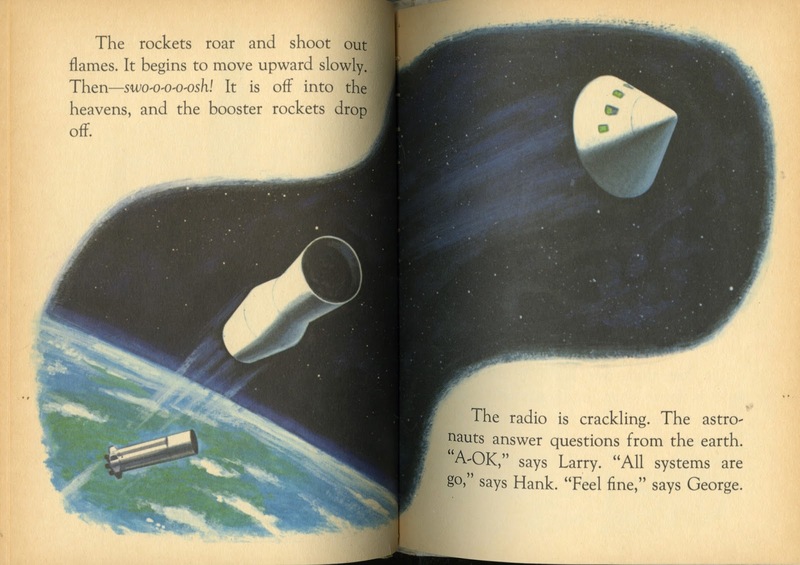 A nice description of how they prepare for re-entry. 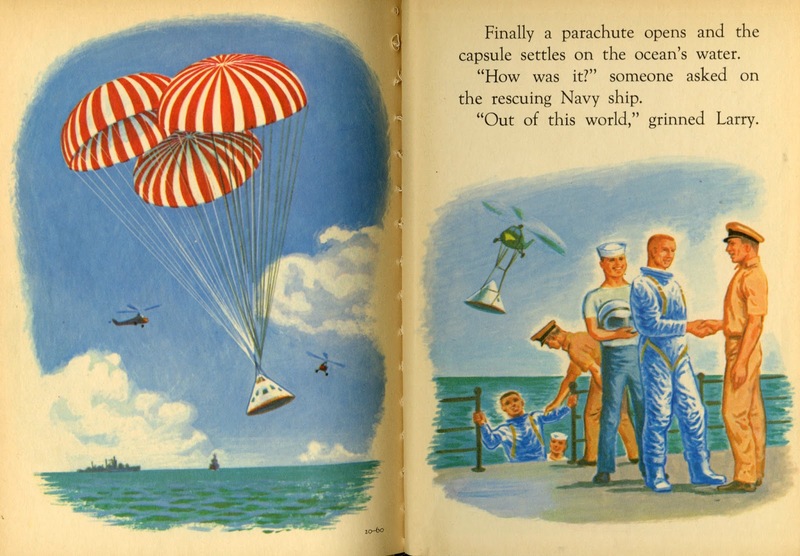 What would it be like to go into space? "Out of this world, grinned Larry"
5 Years of Dreams of Space!